Got a Business? Want to Boost Revenue? 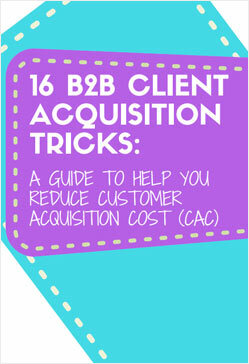 Building an efficient acquisition strategy while saving costs is difficult but not impossible! Download this comprehensive guide and learn 16 tricks to lower your Customer Acquisition Cost at each stage of the Buyer's Journey.